Cala Galdana is a rather lovely purpose built resort on the south coast of Menorca. Its soft sandy beach, lying in a sheltered bay, is a great attraction for families and those who wish to relax and forget the pressures of working life. It should be noted that the Blue Flag beach is accessed via steps and may therefore be unsuitable for those with limited mobility. A variety of water sports are available from the beach. There are cliff top routes for those who enjoy walking in this very pretty area. Cala Galdana offers good quality accommodation with excellent service. Whether you choose hotel, apartment or villa, you'll be pleased with the amenities. Take a look at the all-inclusive offers as they may be cheaper than you think and provide good value. This can be particularly true when travelling with children as the cost of refreshments can reach significant figures and damage your budget. The resort has many restaurants and bars that serve a variety of cuisine that caters for most tastes and pockets. As you'd expect on an island, fish is a prominent feature of menus. Cala Galdana is a peaceful resort with a low key nightlife. Shops are fairly limited, but this matters little as you are close to the capital, Mahon. You'll also find markets in neighbouring Ferreries. Low cost Cala Galdana holidays can be taken from early spring until late autumn. Temperatures rise to thirty and beyond in the height of summer. Several low cost airlines fly to Mahan from regional airports. Check to see if there is a direct service from your own local airport. The transfer time from the airport to the resort varies from thirty to sixty minutes, depending on traffic conditions. It's never too early to find your next summer holiday destination. If you have decided on Menorca and want a place to relax by a sandy beach, the beautiful resort of Cala Galdana would be a good choice. In common with most people, you'll be looking for a bargain and that's where we can help. 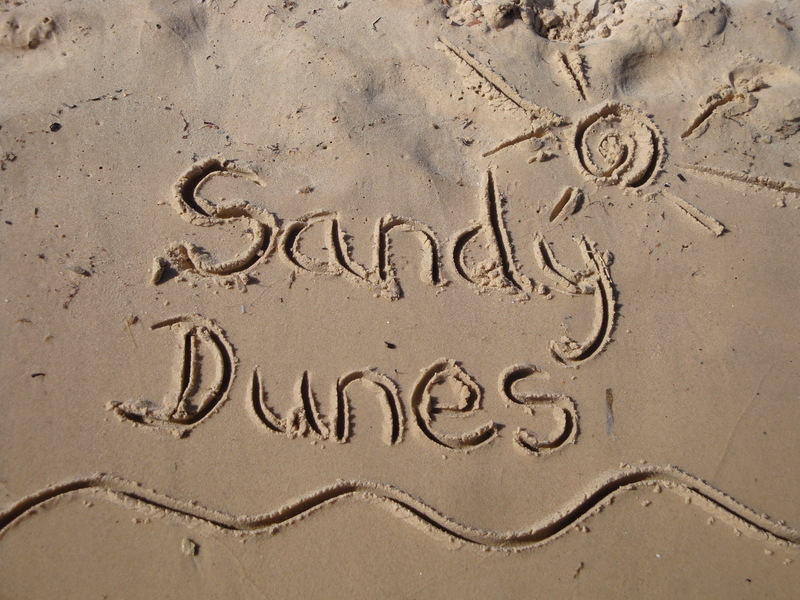 Sandy Dunes is a price comparison site with access to the best offers from more than three dozen travel companies. As they are all competing for your booking, you are sure to get a great deal, and all it takes is one quick search. Just enter your dates, your destination and your point of departure and within a few seconds, we'll show you the Cala Galdana holiday that costs the least. Please be aware that offers change daily so, if you find what you are seeking and wish to avoid disappointment, ring and make your reservation without delay.